"There will be one clear global winner: Blu-ray disc!" TDK is the only recordable media company to be a founding member of the Blu-ray Disc Association (BDA). It's now producing 25GB and 50GB recordable Blu-ray Discs and says it has absolutely no intention of ever producing recordable HD DVDs. TDK says that Blu-ray is a sure-fire winner and that HD DVD will fail. We spoke to TDK executive Jean-Paul Eekhout about the HD format war. Tech.co.uk: What was it about Blu-ray which made TDK want to join the BDA and not the HD DVD Group? As an optical media company, would it not be economically viable to support both and release discs on both formats like Verbatim? Jean-Paul Eekhout: Long before the two HD recordable formats had names, TDK developed core technologies for post-DVD products. TDK Corporation's R&D efforts were in fields of material research, manufacturing technologies and hard coating. TDK judged the Blu-ray Disc recordable and rewriteable product concepts to be the superior format in terms of capacity, durability and performance. TDK's core technology aligned very well with the BD-R/RE concepts and exclusively supports the BD format. TDK Corporation is one of the founding members of the Blu-ray Disc Association. Tech.co.uk: How confident are you that BD technology will come out on top of HD DVD? Frank Simonis seems very convinced that Blu-ray will win the 'war'. He has spoken at length in the past regarding capacity being the crucial factor... but now there's talk of a 51GB HD DVD disc. What do you guys think about that? Jean-Paul Eekhout: In our recording media domain, there isn't much of a war going on. Today HD recording is 100 per cent in the hands of the BD-R/RE products. The format benefits of BD are undisputable indications that BD-R/RE will in fact be the only format that matters for high-definition recording. In our recordable market segment, capacity, data transfer rate and widest format support guarantees the winning position for BD-R/RE. 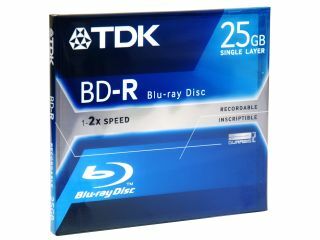 Tech.co.uk: If some of our readers are looking to buy a next-gen disc recorder, why should they buy a BD recorder with TDK BD-R disc as opposed to other technology? Jean-Paul Eekhout: Readers couldn't really look anywhere else. If the Japanese domestic market is anything to measure the potential of HD video recording by, BD-R/RE recorders are setting the pace. By the time High Definition Video Recorders are launched in Europe, we expect these to be very mature 2nd or 3rd generation devices that have already proven themselves on the Japanese market. And TDK is a natural choice for any recording application. Tech.co.uk: Do you think that the HD war could have different outcomes - one winner in Europe and another in the US? Jean-Paul Eekhout: TDK strongly believes that there will be one global winner: Blu-ray Disc! Tech.co.uk: How committed is TDK to the BD format and is it possible that we could see some HD DVD discs from TDK in the future? Jean-Paul Eekhout: So far, TDK's decision to exclusively support BD-R/RE has been the right choice. Tech.co.uk: Is there much of a future for CD-Rs? Are you still selling lots of CD-Rs or are most people now using DVD-R to back-up data? Jean-Paul Eekhout: The CD-R market is in decline. That market peaked two years ago. However, the CD-R consumption is strongly linked to audio applications. With music downloads becoming increasingly popular, CD-R is often the only way to enjoy those downloaded tracks in e.g. portable CD players or car stereo systems. The obvious capacity advantage of DVD vs CD has moved data backup applications to DVD. For applications where increased capacity is a requirement, we expect that even BD-R will soon make its entry. Tech.co.uk: Is it possible that both Blu-ray and HD DVD formats could fail like DVD-Audio and SACD? If so, how likely is that to happen? Jean-Paul Eekhout: The entertainment and consumer electronics industry is moving to high definition. High-definition storage needs higher capacity. It is very, very likely that Blu-ray Disc will succeed. Tech.co.uk: How well are your BD-R discs selling in Europe? How are they selling in Japan? Jean-Paul Eekhout: Blu-ray Disc recordable is a young market. In Europe we estimate the demand for 2007 to be between 250,000 and 300,000 pieces. TDK holds a majority share (approx 40 per cent). In Japan the market development is more advanced. The Blu-ray Disc format expands rapidly with BD video disc recorders rather than BD players.